The London Marathon is this Sunday. Every year Londoners line the streets to cheer on all the runners – young and old, the athletic and not so athletic. It’s one of those events that reminds us all that London is a fantastic place to live. And it’s not just about the elite runners – the ‘fun’ runners in their fancy costumes and placards raise over £50 million a year for good causes. The young Royals are also getting involved on the charity side this year, using the marathon as a vehicle to help end the stigma around talking about mental health through their Heads Together campaign. The mental health of older people in London, and in particular loneliness, is key to Age UK London’s work – from techy tea parties (see the Deputy Mayor’s blog on the subject) to the ‘No one should have no one’ Christmas campaign – much of Age UK London’s work focusses on this important issue. As a researcher, I’m interested in looking at the detailed data behind the headlines. The Office of National Statistics runs surveys to find out about people’s mental health across a number of different areas. Their data shows that in terms of mental well-being, older people do not all fall into one group. 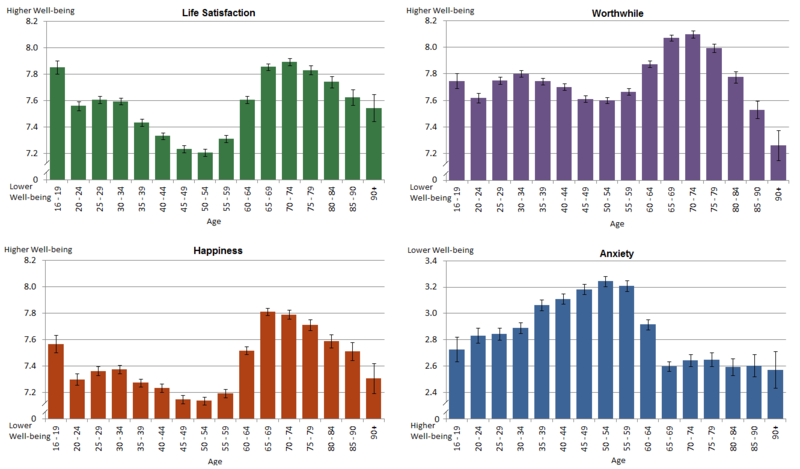 In fact mental well-being can vary quite considerably by age. In simple terms, younger older people (aged between 65 and 79) actually have the best rates of personal well-being of all age groups. In terms of life satisfaction overall, happiness and feeling that the activities they do in their life are worthwhile, 65-79-year-olds score better than all younger age groups. Also, those over 65 show the lowest levels of anxiety of all age groups. But after the age of 80, the picture changes, with levels of life satisfaction, overall happiness and feeling worthwhile all dropping off – with those over 90 reporting the lowest worthwhile ratings of all age groups. The Office of National Statistics reports that there is a strong relationship between loneliness and lower well-being ratings for people of all ages. Given that those over 80 are twice as likely to report feeling lonely as younger age groups, it is no wonder that their personal well-being scores fall. And admitting something is the first step to change. If you want to get involved in events, volunteering, learn a new skill or re-visit an old skill or just make a new friend, get in touch with Age UK London or your local Age UK in your own London Borough and they can help you find what you are looking for. 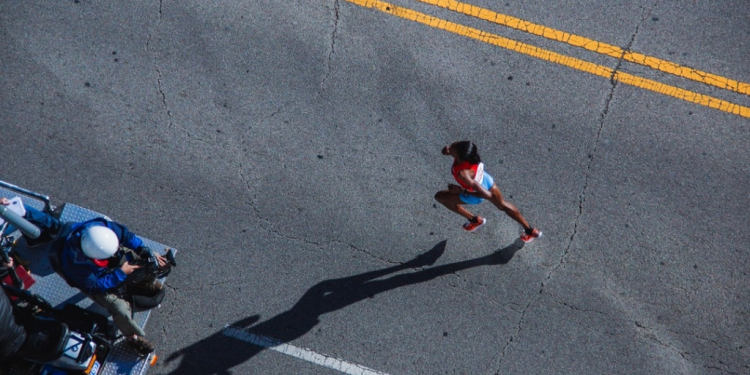 Feeling inspired by the London Marathon? Age UK London still has spaces available for the Royal Parks Half Marathon, please contact Danny Elliott to register your interest. Charlotte is an expert in both qualitative and quantitative research techniques with a wealth of experience in analysing consumer trends and running businesses. Charlotte is a trustee of a local charity, Age UK Richmond and a member of the Age UK London expert panel. In 2015, Charlotte and Anna Grey established Cornish and Grey, a social enterprise providing evaluation and impact strategy support to social purpose organisations. Scams: Are Older People More at Risk?